The RBI has said banks cannot refuse to accept faded notes or those with scribbles. 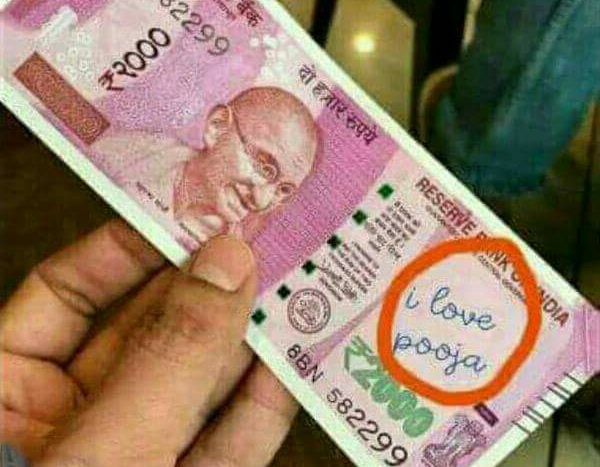 The central bank said such banknotes had to be treated as "soiled notes" and dealt with according to the RBI's "clean note policy". The circular to banks was sent by the RBI after it received complaints that many branches were not accepting banknotes, specifically of 500 and 2,000 denominations, with anything written on them or those either smudged with colour or faded due to washing. Bank branches have been rejecting such notes following rumours in social media that such notes were not acceptable. The RBI drew attention to its December 2013 statement, issued in response to rumours that from 2017 onwards banks would not accept notes with anything written on them. The RBI had then stated that it had not issued any such instruction. The central bank clarified that its instructions on scribbling on notes was a directive for staffers not to write on banknotes. This was after the RBI had observed that bank officials themselves were in the habit of writing on banknotes, which went against the central bank's clean note policy. The RBI has sought cooperation from all members of public, institutions and others in keeping banknotes clean by not scribbling on them. Doubt on so called circular. The circular is showing No. ND.ID.(RES. ).No.4530/04.00.001/2016-17 dated 25/04/2017, which create me doubt, when I check the same is not showing on RBI official website. I want to know about the truth of this circular, can somebody help.